If you order several half yard units, you will receive the fabric in one continuous length. All fabrics are stored in well air-conditioned and smoke free environment. OVERSEAS & CANADIAN CUSTOMERS - PLEASE READ ALL ABOUT SHIPPING COSTS ON MY INFORMATION PAGE - CHEAPEST TOTAL COST PER YARD IS TO FILL A USPS FLAT RATE ENVELOPE WITH 12 YARDS. US CUSTOMERS - YOU SAVE A LOT ON SHIPPING PER YARD BY FILLING A USPS FLAT RATE ENVELOPE WITH 12 YARDS. Thank you for visiting SewColorfulQuilts. A purchase can only be cancelled if it has not yet been shipped i.e. shipping label is not yet issued. I accept returns of unused items in original condition for full refund minus shipping cost. 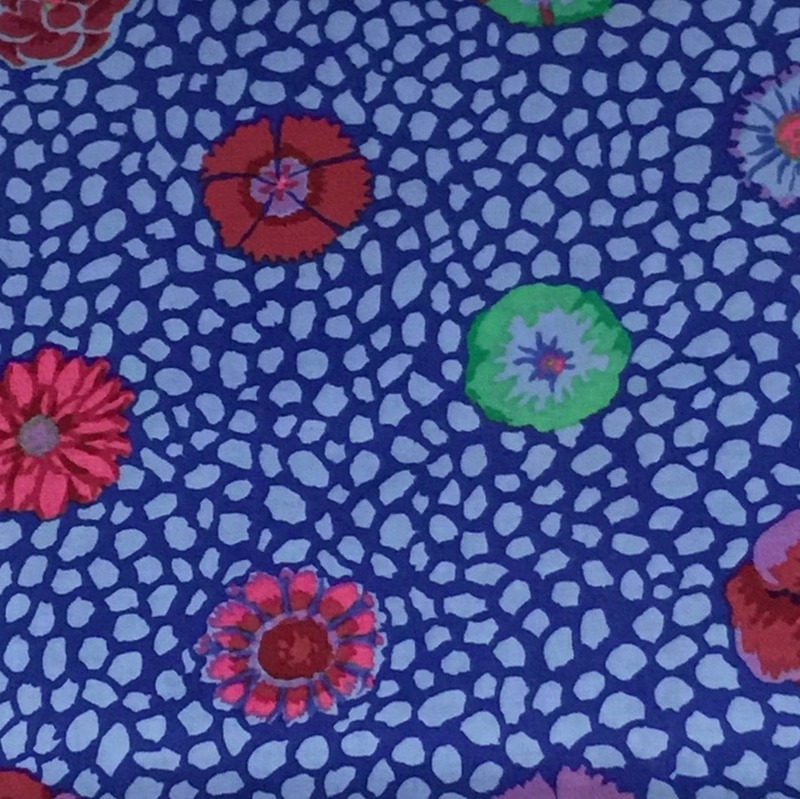 A Flat Rate Padded Envelope can hold 11 yards of Kaffe Fassett Collective fabric for $8.00 to U.S customers. A Flat Rate Padded Envelope can hold 11 yards fabric and costs $35 to Overseas customers. I can fill a Flat Rate Envelope/Box as full as physically possible, no matter the weight, the cost is the same. Additional import duties and taxes may be charged by your country’s customs service. International orders usually takes 2 - 3 weeks to arrive at your end, but has to clear customs in your country. There is no telling how long that might take. Please allow up to 6 weeks before we consider an order lost and report it to the USPS for investigation. I am a quilter & quilting teacher, so it is important to me that you are satisfied with your fabrics. If an item is returned to Sew Colorful due to incorrectly provided shipping address or you refused it, or if you declined to pay the import duties, or failed to pick it up at your end, we will refund the purchase price of the fabric ONLY. In such cases the shipping cost can not be refunded. CUSTOM ORDERS - Need something you cannot see in my shop? Just send me a message, a Custom Order Request or an Email and I will try my very best to assist you.